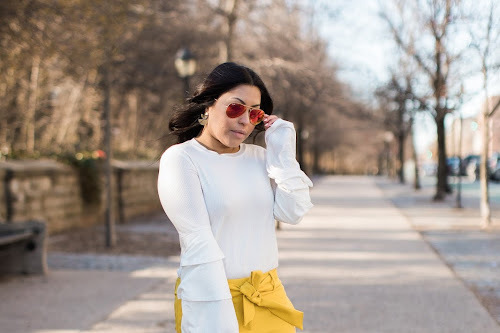 In honor of my Eurotrip, I wanted to share this look I shot with my favorite Caitee Smith Photography in Brooklyn this past weekend. Shooting with Caitee has always been such a blast and she always has made me feel so comfortable in front of the camera. So we shot right by Prospect Park and it reminded me so much of the Arc de Triomphe in Paris. 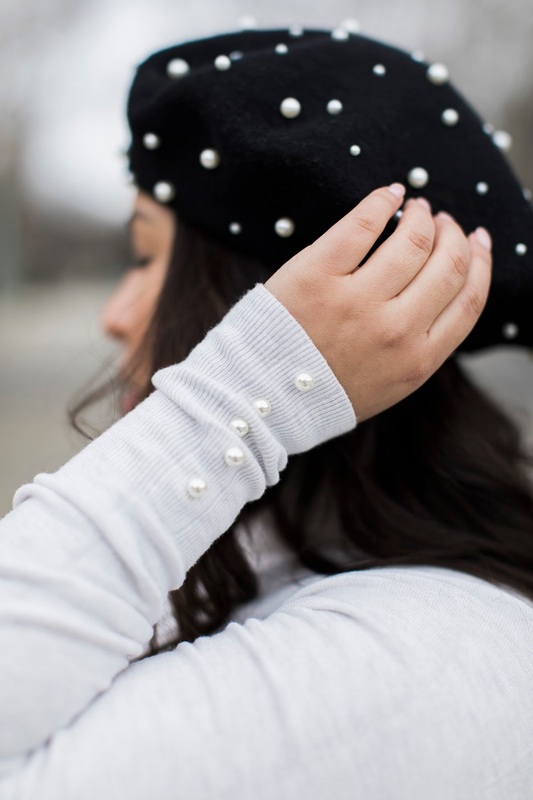 In true Parisian fashion, I wore this adorable pearled beret. 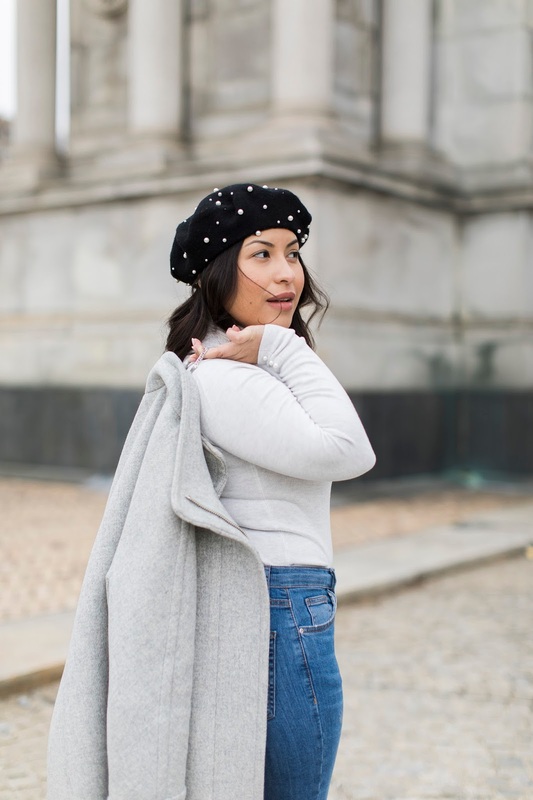 I didn't think I would be such a fan of berets but they are so cute. 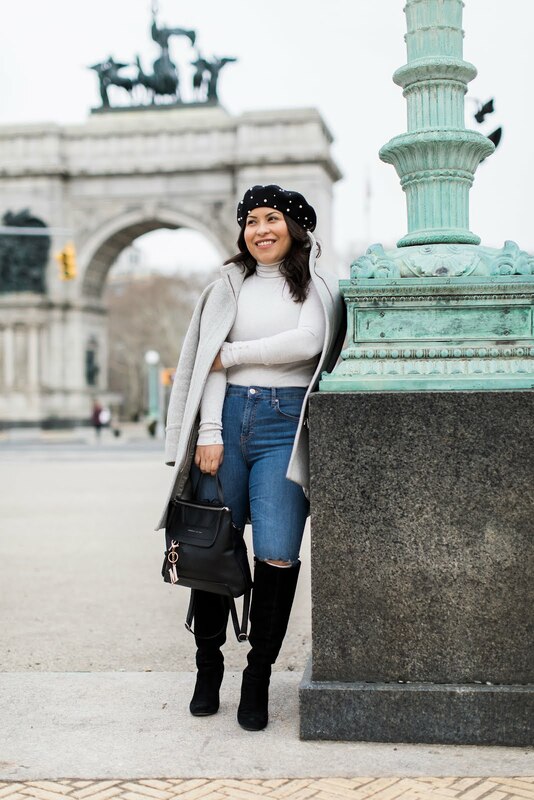 To match with my pearled beret, I wore this grey/creme colored turtle neck from Zara and my favorite high waisted rip jeans from Top Shop. I bought these OTK boots a few years ago on a whim from Gilt. It's funny because it was my first time ordering from Gilt and my first time ordering OTK boots online without trying them on first. 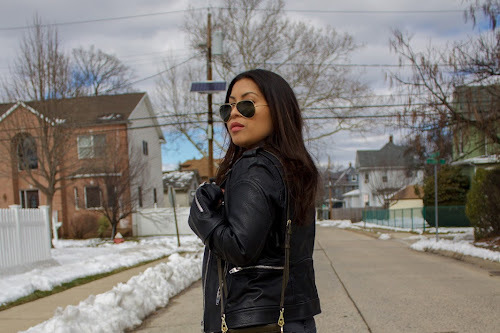 OTK boots are one of the hardest things for me to shop for because 1) I'm super short, 4'10" to be exact and 2) I have more athletic calves so I could never find the perfect boot until I found these beauties. Since then I have yet to find a pair that fits me as well as these. I ordered these because they are so stunning but they were way too tall and wouldn't fit my thighs. So upsetting. Anyway, I'm still on the hunt to find another pair of great OTK boots because I'd love a pair in a different color. I'm thinking about getting these or these, so I'll report back with my findings.